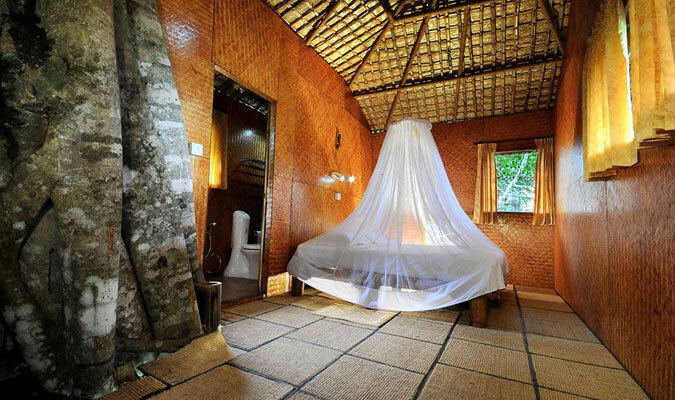 If you wish to stay in a treehouse, what better than staying in a treehouse of Vythiri resort in Wayanad! 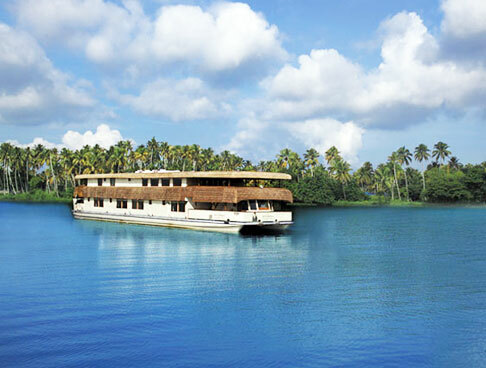 It is one of the best retreats, offering a memorable experience, amid rainforest and wonderful green surroundings. 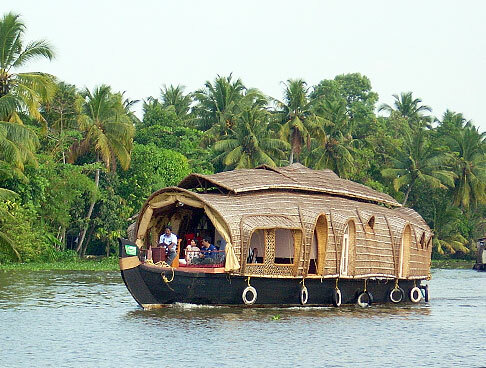 Opt for meticulously-planned Kerala Treehouse Tour, expanding in a duration of 2 nights and 3 days. 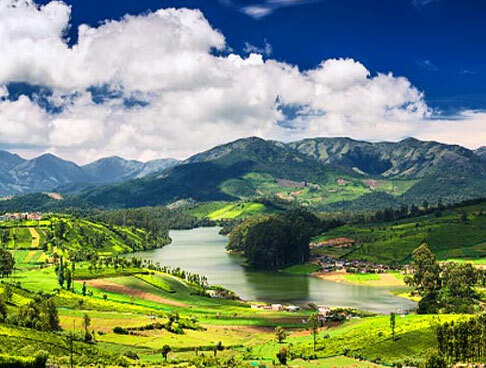 The itinerary also offers sightseeing including some of the most popular attractions in Wayanad such as Edakkal caves, Paksithalam, hiking to Chembra peak and Bansura sagar dam. After arrival at the Kozhikode railway station/ airport, meet our tour representative who helps you with an assisted transfer to Wayanad. The road journey is going to be around 3 hours. 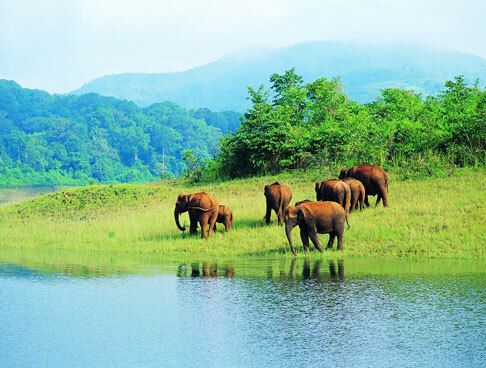 Arrive at the very popular Vythiri Resort, one of the most popular treehouse resorts in Wayanad, placed above the verdant copies of the rainforest of Wayanad. Complete the check-in formalities for treehouse. 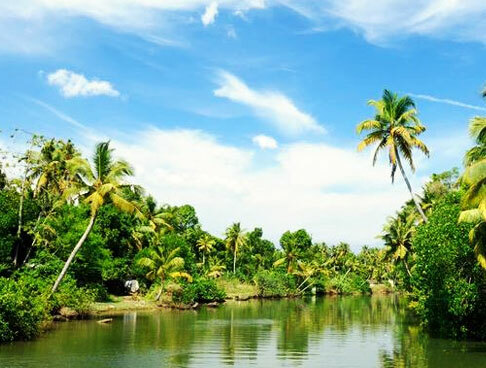 This eco-friendly jungle resort has cottages that have been built using indigenous materials and solar energy along with natural spring water that cascades from the surrounding hills. 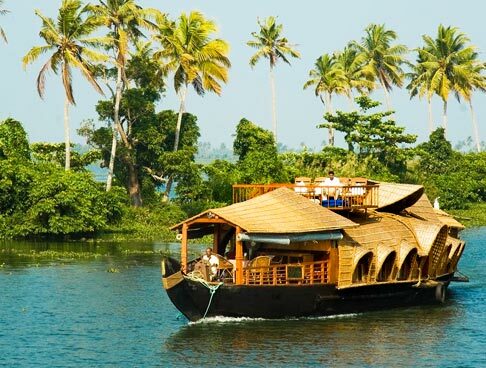 This ultimate retreat offers memorable experiences to both, family vacationers as well as honeymooning couples. Check-in is followed by a hike up to the Chembra Peak. During hiking, treat your eyes to the wonderful greenery all around you. 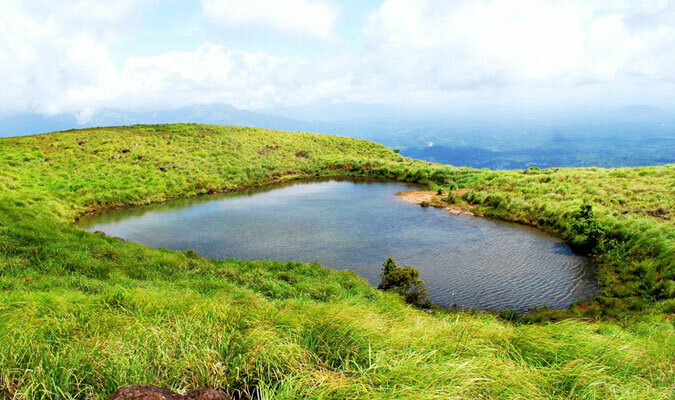 Do not miss spotting the heart-shaped lake on your way. The tranquility is simply going to charm you. Post breakfast, day 2 of the tour is scheduled for sightseeing in Wayanad. The first visit of the day is to the Pookot Lake, a stunning freshwater lake where you can enjoy boat ride, enjoying the green environment and fresh air. Next in line is the Soojipara waterfalls – this three-tiered waterfall is also known as Sentinel Rock Waterfalls. 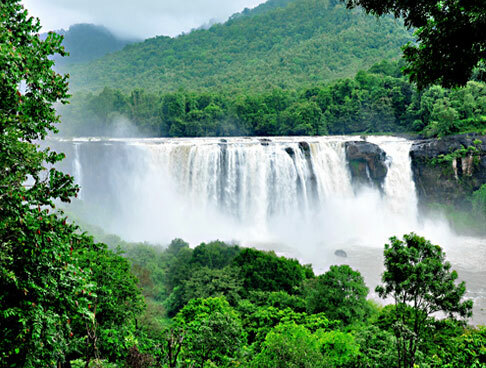 This is followed by a visit to the second largest earth dam in Asia and the largest in India, Bansura sagar dam. The place offers lovely views of the surroundings. 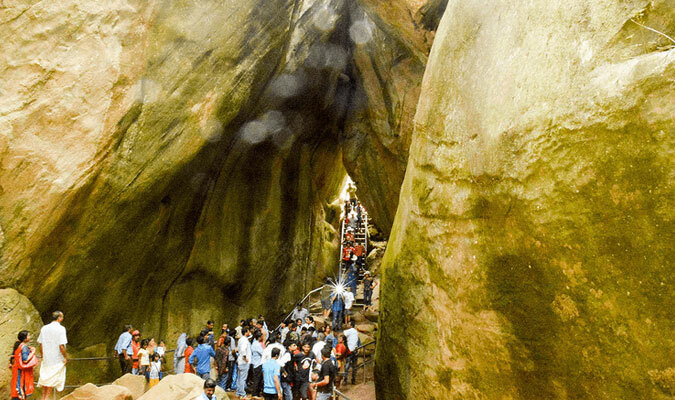 Continue your sightseeing with a visit to the Edakkal Caves- two natural caves that are probably 7000 years old. These caves are known to be one of the earliest centers of human habitation. 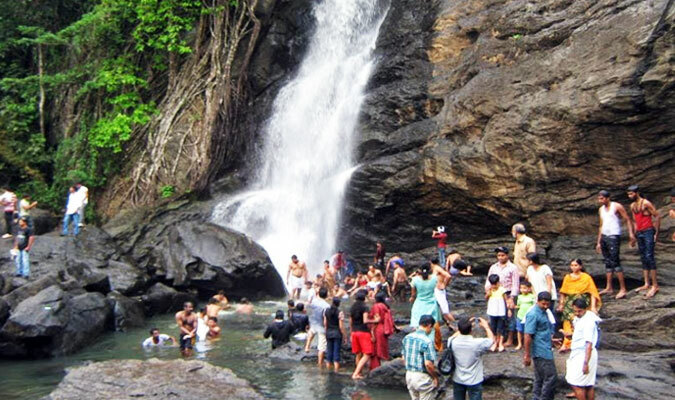 Continue city tour of Wayanad by visiting the Pakshipathalam – a sight popular amid adventure tourists, nature-lovers as well as ornithologists, and Meenmutty waterfalls- a three-tiered waterfall cascading from a height of 300 m. Back to the resort. Today is the last day of the tour when you get on-time transfer to the railway station or airport in Kozhikode for your onward journey.